Although many modern Christmas traditions as we know them began in Europe, festivities like Christmas markets, meeting Santa, stringing lights, building snowmen, decorating Christmas trees, caroling and more have spread around the world. Cities big and small across the globe celebrate the holiday season with their own unique spin on familiar traditions. From Asia to Africa and Brazil to New Mexico, Christmas traditions have taken hold and made these towns popular destinations for tourists looking for holiday happenings. Even towns in the Southern Hemisphere where it's summer in December still have plenty of festive fun. So whether you're looking for a winter wonderland retreat that feels like the inside of a snow globe or a warm winter family vacation where you can still meet St. Nick, there's a charming Christmas-y choice for you. 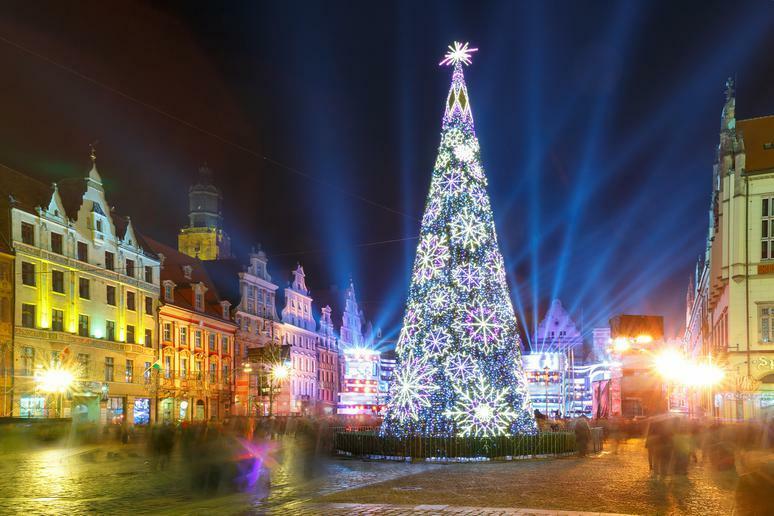 If you're looking for a bucket-list getaway that will also offer a high dose of Christmas cheer, here are 50 destinations around the world that all offer magical seasonal sights on top of amazing food and drinks, arts and culture and more.